Formstack is an online service to help users build any type of online forms including Sign-up forms, surveys, contact forms, event registrations and more. Users can then integrate the web forms into their websites and begin collecting data. Revamp CRM integration with Formstack helps automate the process of turning web forms’ submissions into qualified leads. After gathering information about your leads, you’ll be able to combine our CRM, Email Marketing, Sales and Task Management tools to automate your business workflow, achieve the best results and win more B2B & B2C sales. Log all lead communication including email, tags, and phones. Automatically create a person in Revamp CRM each time there is a new form submission in Formstack. Use our pre-built automation workflow or build a new one for your lead qualification process. Use our segmentation tool to create segments of your contacts to send better personalized emails. 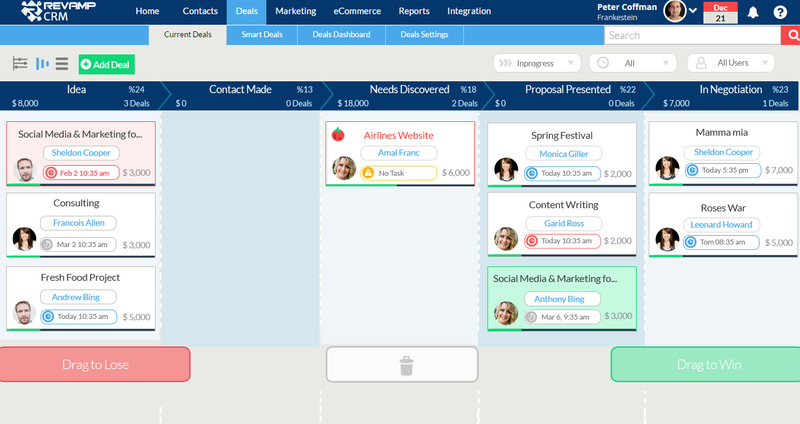 Connect your web forms to Revamp CRM and have leads enter your marketing workflow automatically. How Revamp CRM makes your Formstack better? We help sales teams, customer support or marketing specialists to create Sign-up Forms that instantly creates a contact within Revamp CRM account and triggers the next steps in the sales process. Real-time Updates: Log all lead information including email, tags and phones. Turn Entries to Contacts: Automatically create a person in Revamp CRM each time there is a new submission in Formstack. Contact Stage: Specify your Contact’s Stage from being a Lead to Evangelist. BCC email: Use our Smart BCC email anytime you send or receive a message from a Revamp CRM Lead or Contact, and we will attach a copy of the communication to their profile. By creating web forms, you’re gathering different information about your leads. And you cannot treat them all the same. Formstack customers who are using Revamp CRM have an enhanced experience by having the ability to segment their Leads using our intuitive CRM features. Segmentation: Use our segmentation tool to create segments of your contacts to send better-personalized emails. When you create a web form using Formstack, you’re gathering all the information you need to be able to create the best targeted emails. and by gathering that information you’ll be able to create trigger-based marketing automation. For instance, when you have a customer who had a bad experience with your service or product, you’ll be able to send a “Sorry” message and maybe a gift card, to compensate for their negative experience and win them back. Pre-built Email Automation: Use our pre-built automation workflow or build a new one for your customer retention process. Date-based Marketing Automation: A Date-based Automation is based on a specific day or event like customer’s birthday or anniversary. Trigger Based Campaigns: Trigger follow-up emails based on customer behavior. Deals inside your Gmail: View your Contact’s Deals history inside your Gmail Inbox. 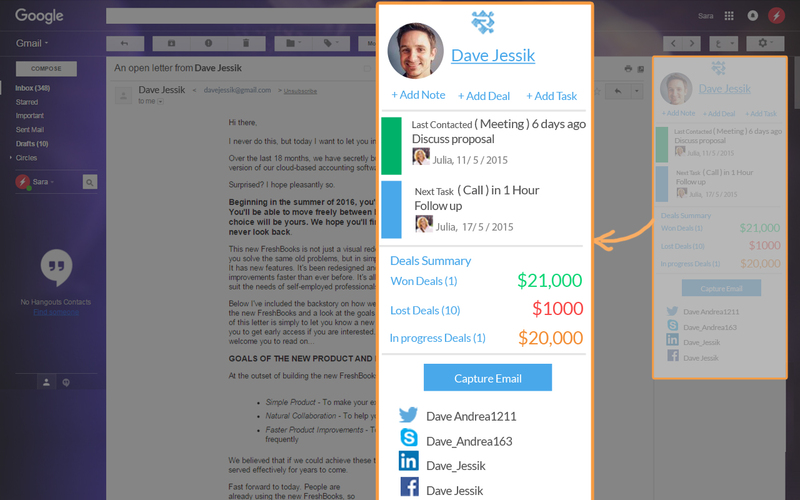 Sales Pipeline: Visual Sales Pipeline to help you know your Deals and top contacts in a glance. Deal’s Card: Actionable Deal’s Card with a summary view of your Contact. Create New Contacts: Add a new contact to Revamp CRM with one click. View Tasks: See where you left off and what is your next scheduled task. Deals’ Summary: See a quick deals summary of won, lost and potential deals. Take Actions: Add notes, tasks or deals with a simple click. Connect emails with contact profile: Capture active Gmail email right into Revamp CRM. Orders’ Summary: See a quick orders summary for Shopify store orders.